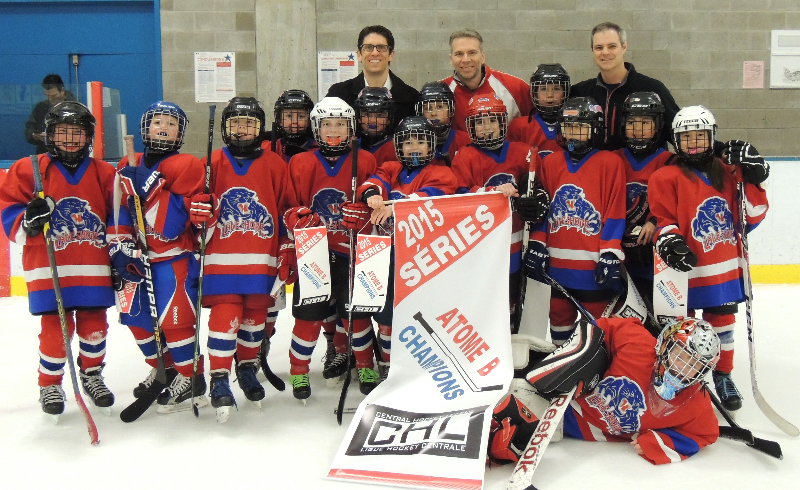 As I watched my 9-year old daughter’s Atom hockey team finish first in their division and then win their playoff final, before advancing to the Regional finals, it occurred to me how a simple system our coaching staff had implemented throughout the season was the recipe for success. The lessons learned from this hockey season can be applied to any business or organization. It all comes down to first having a clear strategy for how you’re going to reach your objective and then sticking to a simple game plan, while keeping an eye on key performance indicators to measure your progress along the way. For any team or business to be successful there needs to be the right mix of people. First, you need a certain level of talent – players or employees with the right mindset and a willingness to learn and work together as a team to develop their skills and create a better experience for everyone. In companies, this is often referred to as “corporate culture”. The more diversified those skills the better, as you’ll be able to draw upon different strengths to make the whole greater than the sum of the parts. Talent alone often doesn’t win championships and the same goes for business. Those that can successfully coordinate their skills and play as a team tend to be more consistent and have more success than teams with superior individual, yet unstructured, talent – the same way great storytelling and beautiful design or packaging often trumps technical features. You also need good coaches or leaders who can motivate each player to reach their full potential and who can introduce a system that gets all the pieces working together towards a common goal. It’s important to note that in business, just as in hockey, brilliant tactics aren’t worth much unless they are aligned with a clear and well-thought out strategy for how you’re going to reach your goal. A good marketing system shares many of the same traits as a good hockey system. First, you need to have a measurable goal or objective. In our team’s case it was to ensure that every kid on the team improved his or her skills and that they had a ton of fun in the process. To measure their individual progress we did testing at the beginning of the year to benchmark each player’s skating, puck-handling and shooting. We had them do the same tests again at the end of the season so they could each see how much they’d improved. Our team strategy revolved around a few simple choices to help us reach our goal. All kids had to sign a contract, in which they agreed to adhere to a code of conduct that included things like always giving their best effort, listening to the coaches’ instructions and putting the team first. The second part of the strategy involved setting out a practice plan for the season and implementing a very basic system that was easy for everyone on the team to understand. Similar to the famous 4P’s of Marketing (Price, Product, Place, Promotion) we had our players focus on four fundamental aspects of the game of hockey – our 4 P’s were Passing, Pressure, Pinching & Positioning and the team rated their own level of performance for each P after every game. The final letter “F” for fun always got the highest score from the kids! Simplicity is the ultimate sophistication and I’ve learned through experience that complexity is the reason why far too many strategies fail to get executed. Our system had to be simple enough for 9 and 10 year olds to understand and execute. Repetition is the other key ingredient in this formula. Repeating these fundamental principles and reinforcing the skills required to execute them at every practice and before every game got us to the point where the kids no longer had to think too hard about them, and the right tactics simply presented themselves naturally in support of the system. This also ensured that we didn’t change our strategy to match our opponents. Players became confident that if we played our system the other teams would have to adjust to keep up with us. The same concept applies to marketing. Knowing who your ideal customers are and focusing on delighting them with a handful of carefully chosen tactics delivers much better results than reacting to moves by your competitors or trying to get everyone’s attention and spreading yourself too thin. Always better to go narrow and deep than wide and shallow in today’s ultra-competitive world and infinite number of choices. It’s important to note here that systems should not stifle creativity or the willingness to try out new ideas for fear of making a mistake. In fact, players and employees alike should not be turned into robots, but rather be encouraged to experiment, test out their skills while taking calculated risks. This kind of innovation should be carried out within the guidelines of a system that is well aligned with the organization’s overall strategy and goals. For example, our players were taught to first look for an opportunity to pass but if none were available they were encouraged to hold onto the puck and be creative in trying to make a play. When it comes to marketing, you need to be constantly innovating and looking for new ideas but when you lead with a simple strategy and a clear vision of where you’re going, you’ll find the creative process is a whole lot easier and more enjoyable because you can measure the results. Now you may be asking yourself, how did we manage to motivate or engage all the players and get them to “buy into” the system? It’s a challenge many organizations face, and the answer was simply to keep track of key performance indicators (KPIs) that we believed would predict the outcome of games and by holding the players accountable for doing what was necessary to achieve the goals we had set out together as a team. If everyone feels as though they are contributing to the team’s success then they don’t want to let their teammates down. At the start of the season, our coaching staff challenged the players to complete at least 20 passes per game, including five passes back to the defense, due to the fact that in Atom hockey they are almost always open and we felt this would be a competitive advantage. We also set the goal of out-shooting our opponents by a margin of at least two to one. We didn’t put any emphasis on scoring goals and felt that if we were the best passing team in the league then the wins would take care of themselves. This removed all the pressure of winning or scoring goals and placed the focus entirely on team stats and leading indicators because whenever we hit our objectives we won the game. Practices were dedicated to developing individual skills or tactics like skating, passing and shooting, while at the same time fostering an understanding of how those skills fit into the team’s system. This meant knowing when to apply and integrate those skills with those of their teammates as well as how to react to opponents in a competitive game situation. Business leaders could learn a lot from watching these kids execute a strategy and implement a system that their coach had mapped out based on the team’s strengths and individual player personalities. Midway through the season we had to raise the bar to 40 and eventually 50 passes a game as the kids had improved and surpassed our expectations. As we head into the NHL playoffs it’ll be interesting to see which team can execute their system the best and claim Lord Stanley’s Cup. Go Habs Go! Do any of these ideas resonate with you? Please share your comments below. Are you putting strategy before tactics and executing a well-integrated marketing & sales system in your business or have you been frustrated by flavour of the month tactics that promised to create a “buzz” , “go viral”, or cut through the noise to get you noticed? Would you like to increase the value of your business? Get your Value Builder Score now to discover your company’s hidden assets and silent killers. We would welcome the opportunity to show you how our thinking can help you leverage your brand’s assets. Subscribe to Scott's Blog on Marketing and Sales alignment!